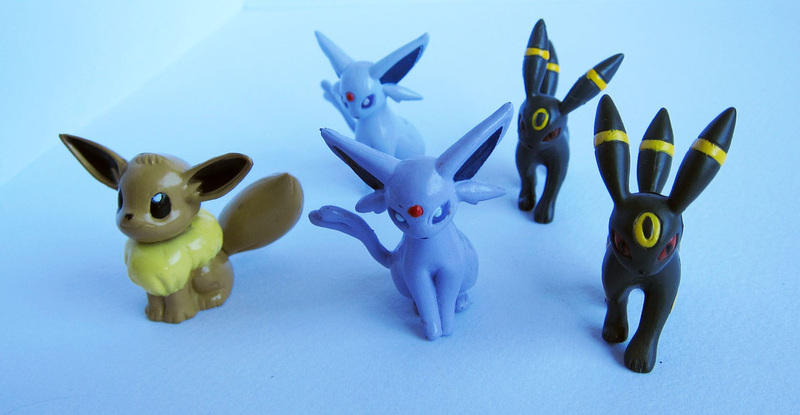 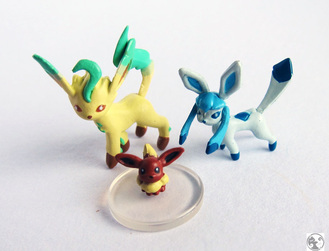 Sadly, the quality of these Leafeon/Glaceon zukans is somewhat lacking. 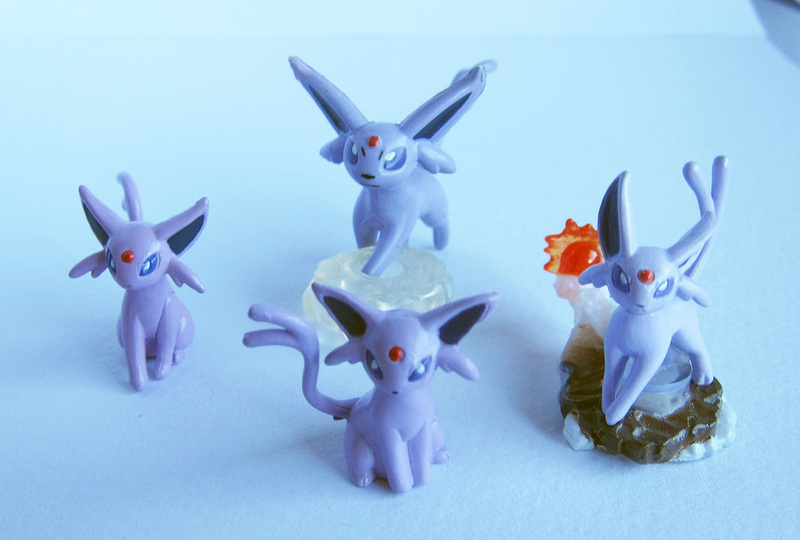 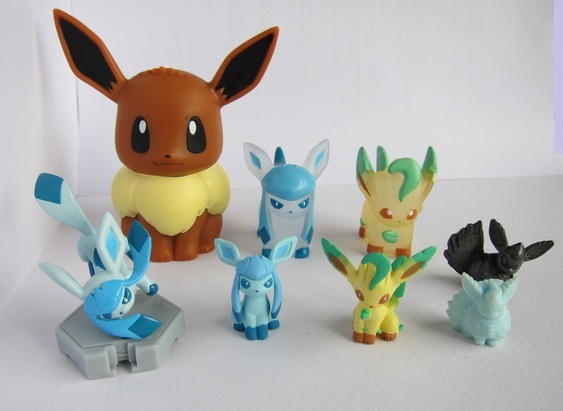 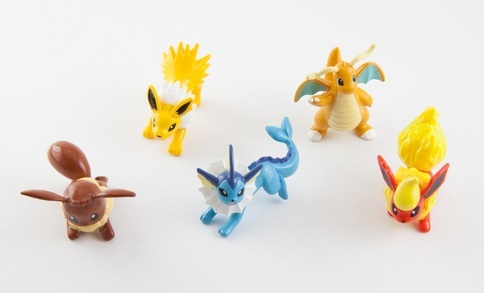 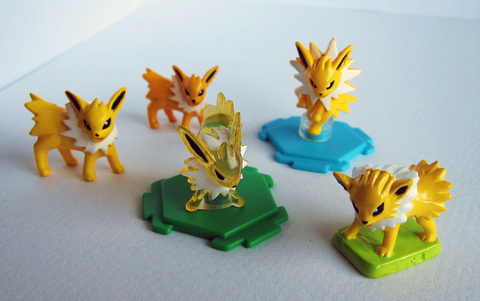 Set of Clear Attack Eevee evolution Kids - These are the centrepiece of my collection. 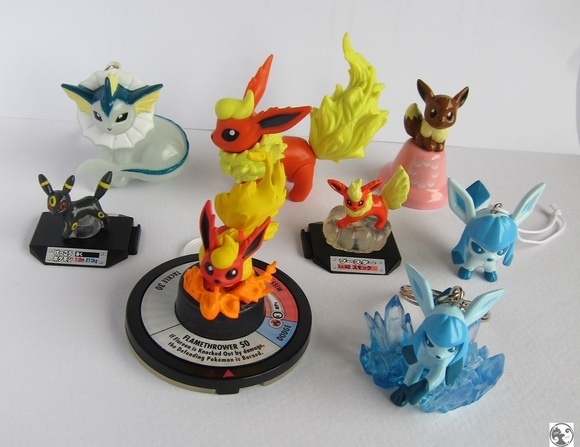 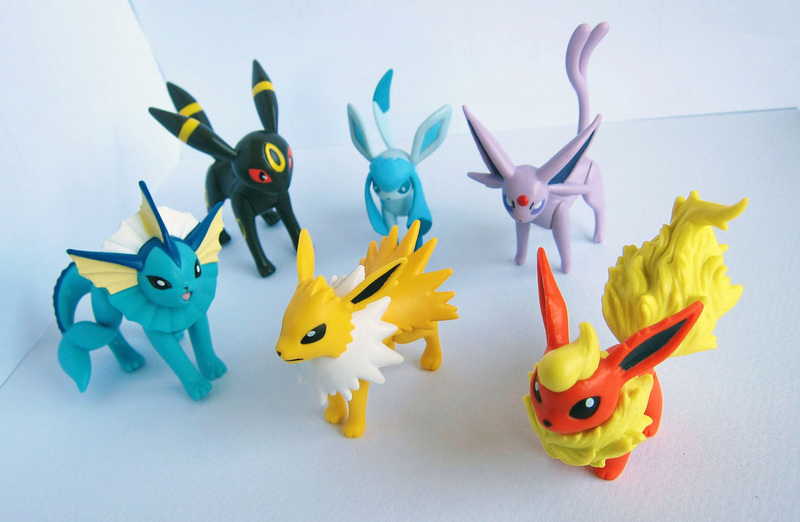 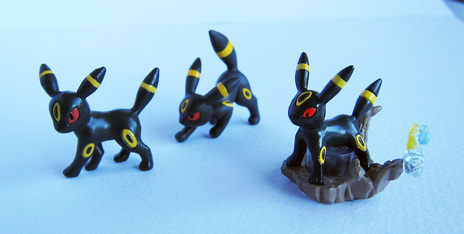 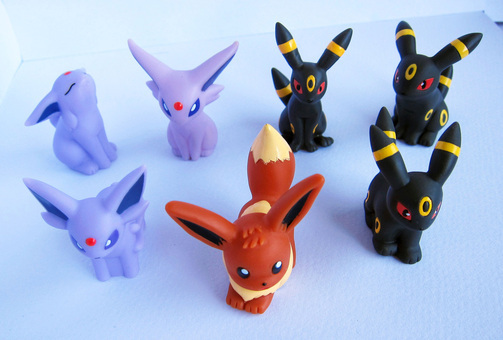 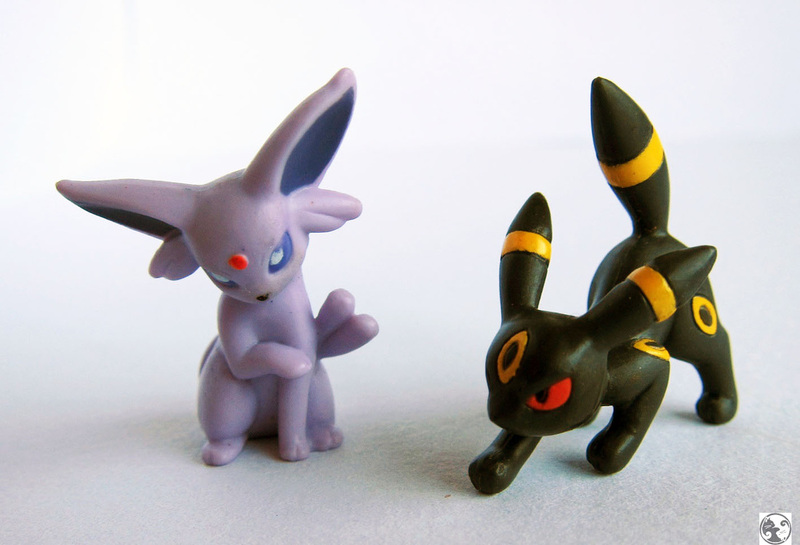 The Flareon TFG was never officially released after the product line was cancelled. 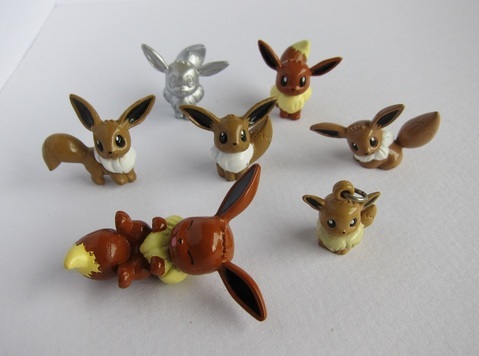 Tomy keychains I bought around 1997-1998. 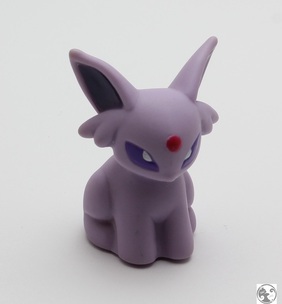 Glaceon Chupa figure - Very majestic. 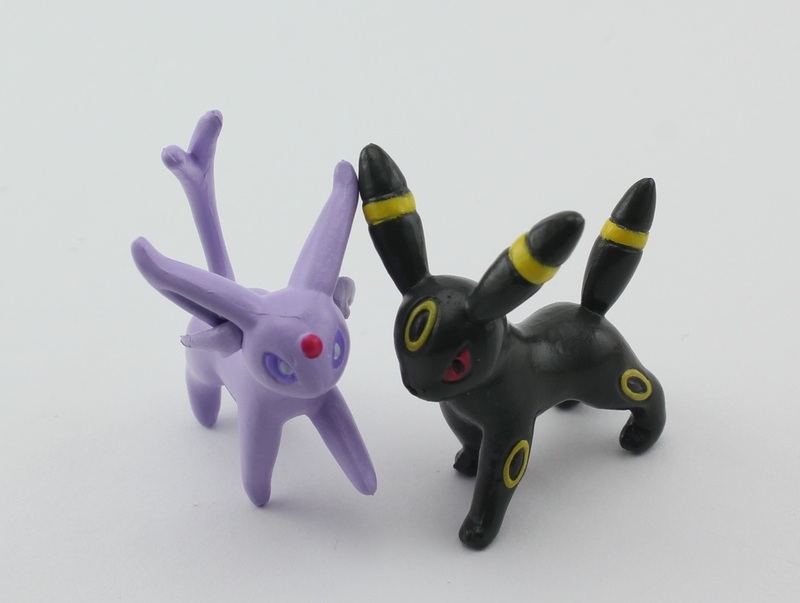 I found these lacking in quality. 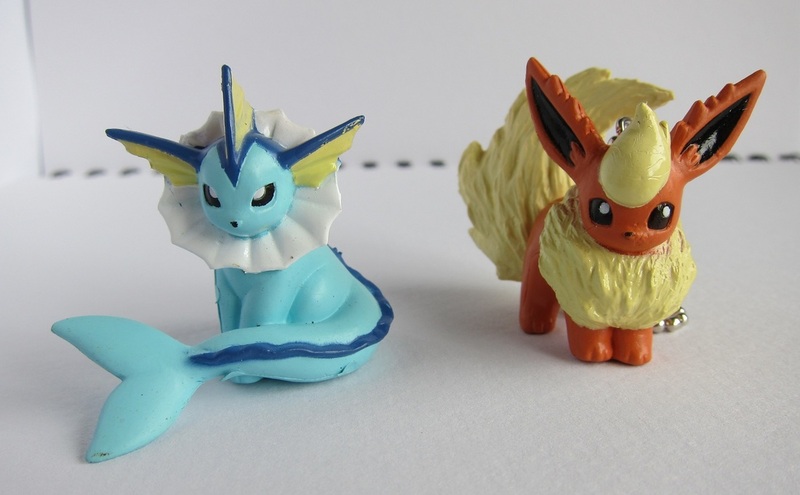 The paint job is a bit sloppy and some figures are cross-eyed. 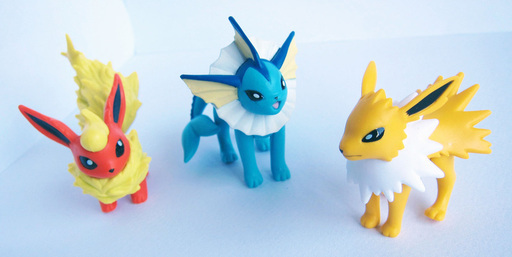 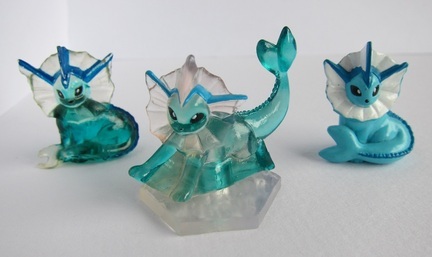 Jakks Figures - Vaporeon's frill is officially (wrongly) half-colored.